The hunt for evidence before embarking on a course of state action is becoming less and less important. Such matters as accusations of terrorism seem to have a suspending effect on the laws of proof. State authorities, and their respective ministers, seem indifferent about proving the case against the accused. Charges without more are sufficient. The reversal of the onus of proof is assumed. The relevant Australian laws dealing with foreign incursions by its citizens and residents are to be found in Part 5.5 of the Criminal Code Act 1995. A person is said to commit an offence if he or she “enters a foreign country with the intention of engaging in a hostile activity in that or any other foreign country”. The penalty is absurdly stringent: life imprisonment. The case of Oliver Bridgeman provides a crudely apt example of this tendency. Having spent a year in Syria, the 19-year-old is said by he and his family to be doing humanitarian work. To assist his claim, he has been posting numerous videos featuring his distribution of food and clothing to individuals in refugee camps. Without going into anything concrete, other accounts suggested that Bridgeman had “joined up with al-Qa’ida-linked movement the Al-Nusra Front in war-torn Syria” (The Chronicle, May 16, 2015). The Toowoomba Chronicle had already decided that Bridgeman was not merely a jihadi, but a recruit. The Brisbane paper, The Courier Mail, never one to be troubled by the search for proof of any kind, similarly joined the fun. The Australian Federal Police have felt as wise on the situation, taking a rather tabloid approach to the whole matter. Bridgeman’s parents have been handed a warrant for their son’s arrest under the commonwealth’s foreign incursion laws. The allegation here is that he has entered Syria with an intention of committing politically motivated violence. Not only has he lost his passport, he must fight charges on his return – if, he does in fact return. To a Sydney-based Muslim community internet channel, Bridgeman expressed pure indignation. 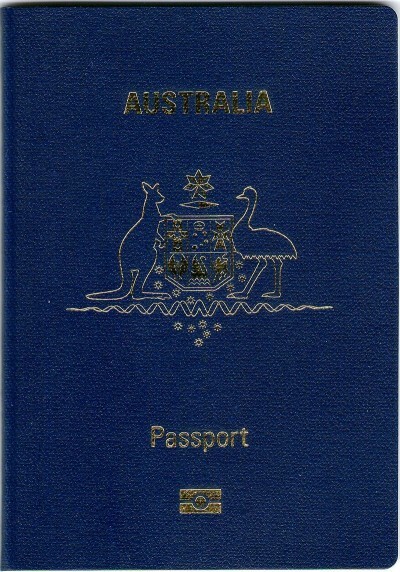 “I saw the assessment on why they cancelled my passport and obviously when I look at what they said it’s absolutely ridiculous.” Not just for Bridgeman, but effectively anyone seemingly has no recourse against a bureaucratic decision that bars him from movement and effectively entrenches him in a state of legal helplessness. Rather absurdly, the stance taken by Canberra authorities in such a situation serves to encourage a person to stay in such a conflict zone rather than return. The means to leave are, after all such action, limited. Further to the point, the line taken by Canberra is inconsistent. On a reading of the laws, there are no provisions favouring particular sides or ideologies when it comes to committing hostile acts in foreign countries. What matters is the incursion itself, not the side backed or the cause fought. For all that, arbitrariness is clearly running the show, with Ashley Dyball being allowed to return to Australia last year after being engaged in a Kurdish military campaign against forces of the Islamic State. The argument being made there was that Dyball had picked the good fight, and deserved to be treated fairly by the AFP. Dyball expressed his own confidence in the whole affair by noting on Facebook how he was “feeling as wanted as Justin Bieber”. Bridgeman, by way of contrast, has been harried in various ways, if not directly through his own legal person, than through his parents, who are still in Toowoomba. In addition to being informed that his son is facing likely arrest, his already irate parents have been told that, in the event Bridgeman is killed, the family will have to cover the expenses to bring him home. The circumstances of that disclosure took place during an impromptu visit by the Australian Federal Police at their Toowoomba residence. The case with Bridge demonstrates no clear instance of fighting with a foreign force. The question would have to be tested in far more thorough legal fashion than is allowed. Instead, presumption and speculation have been permitted to run amok, a point that should concern any Australian citizen who happens to find themselves in Syria or Iraq.